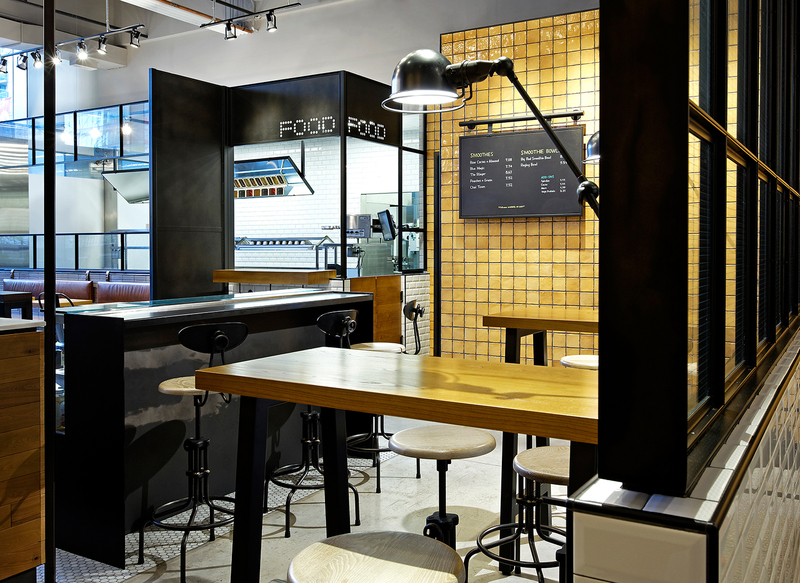 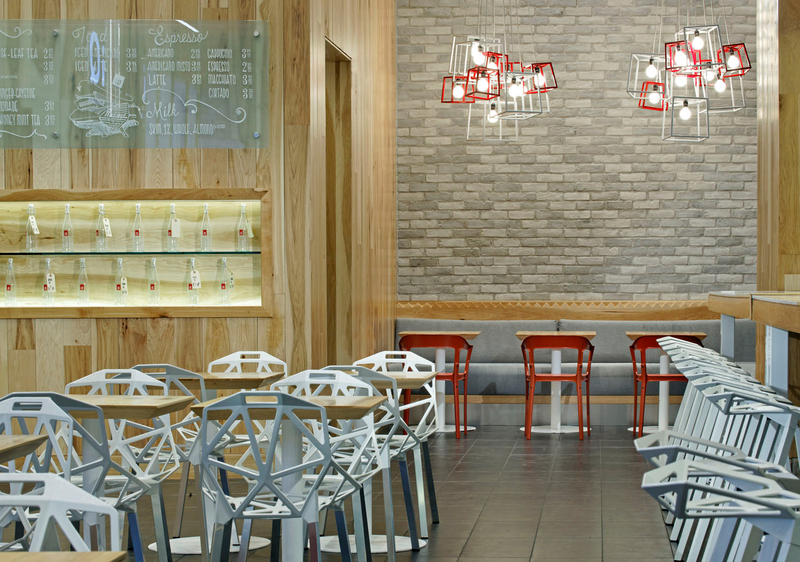 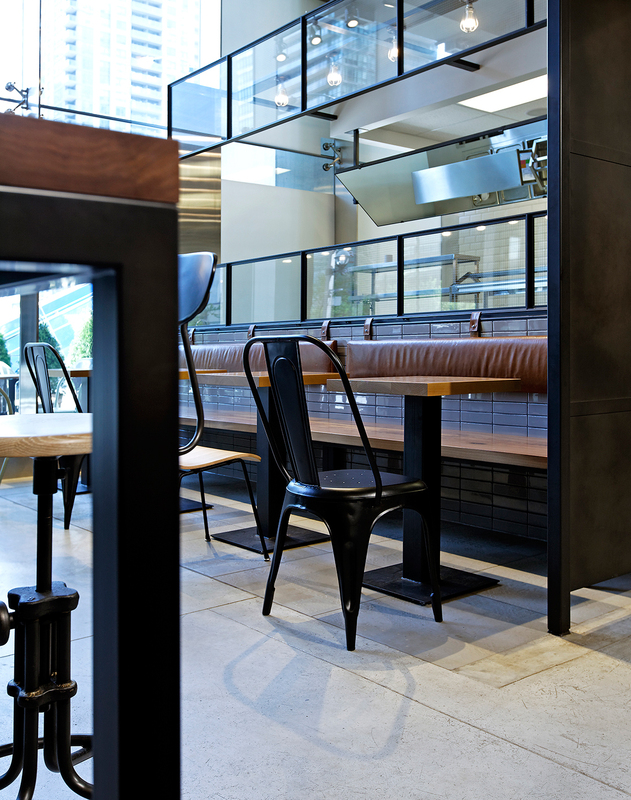 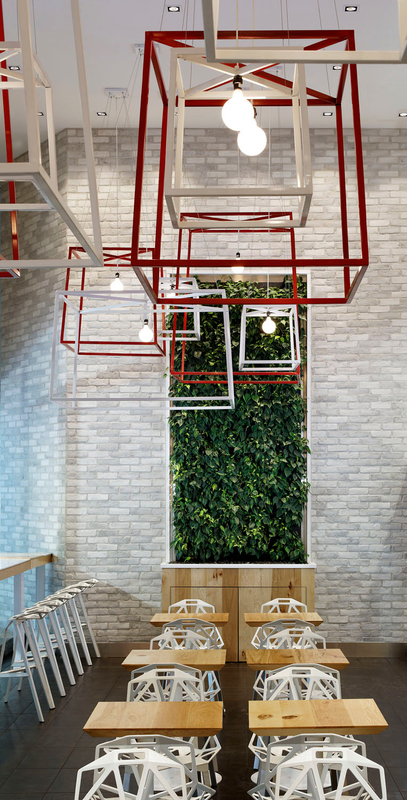 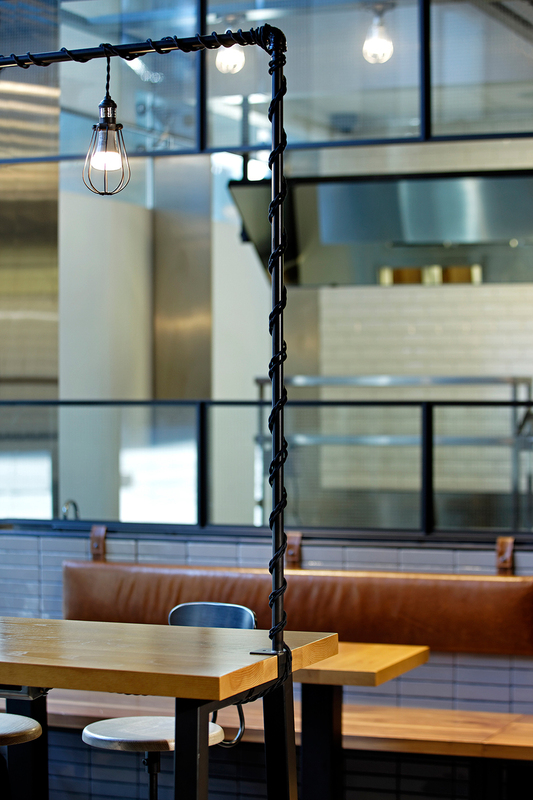 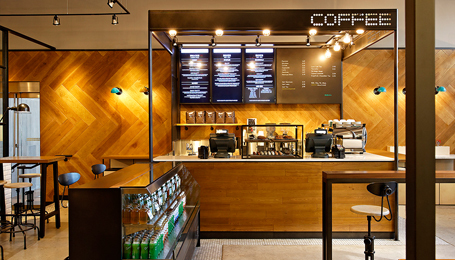 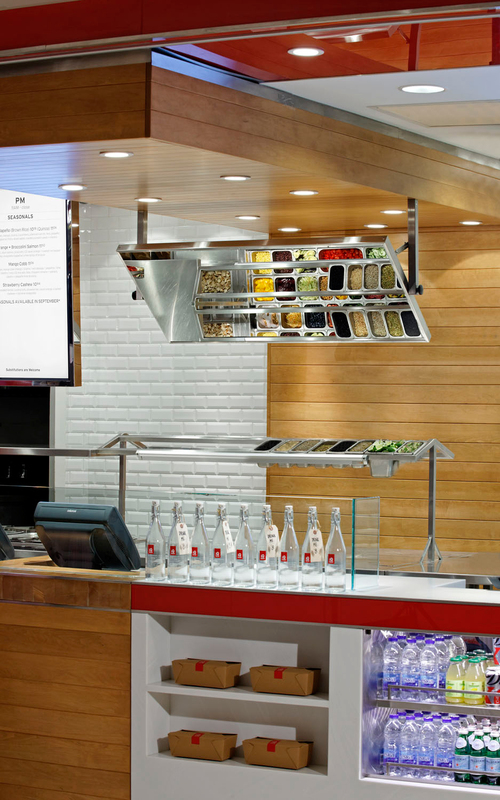 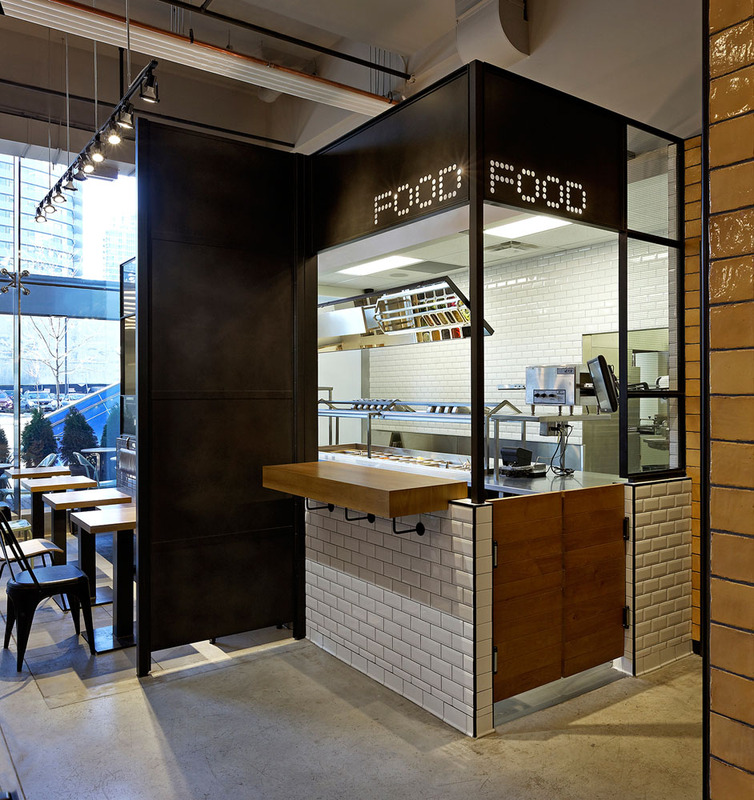 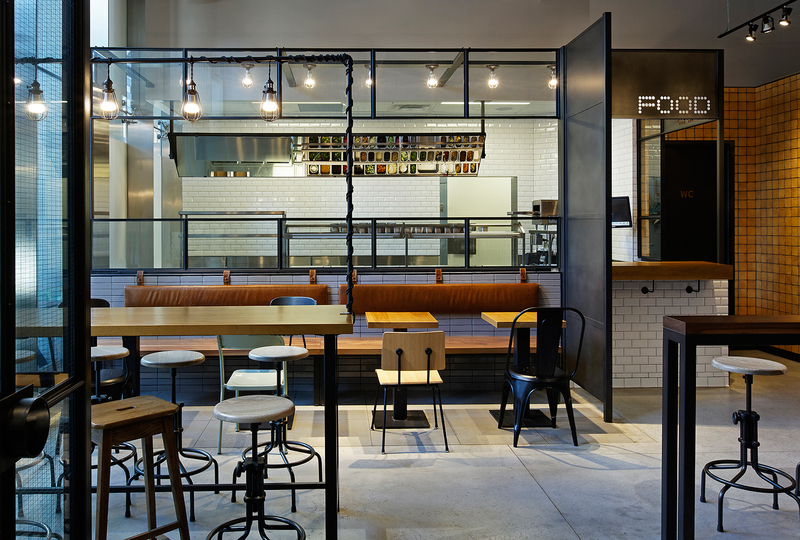 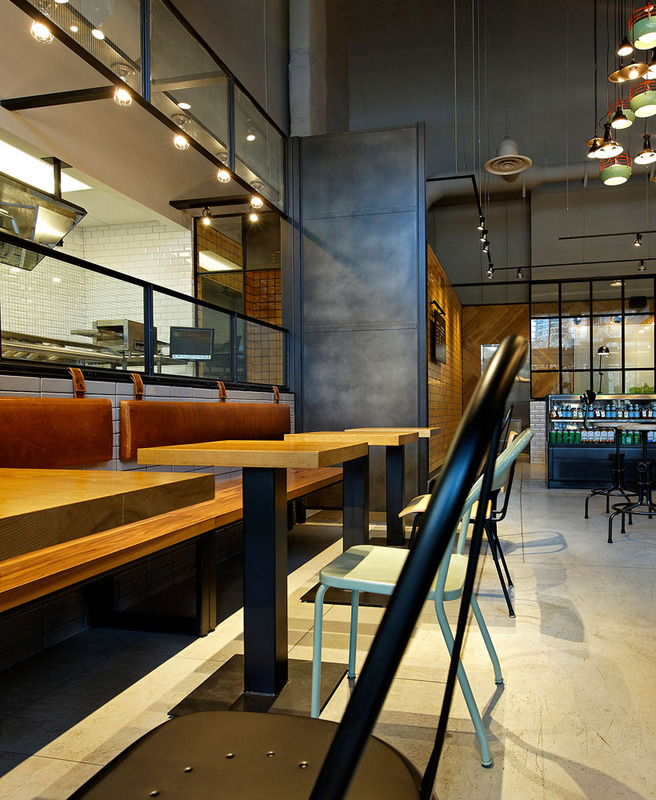 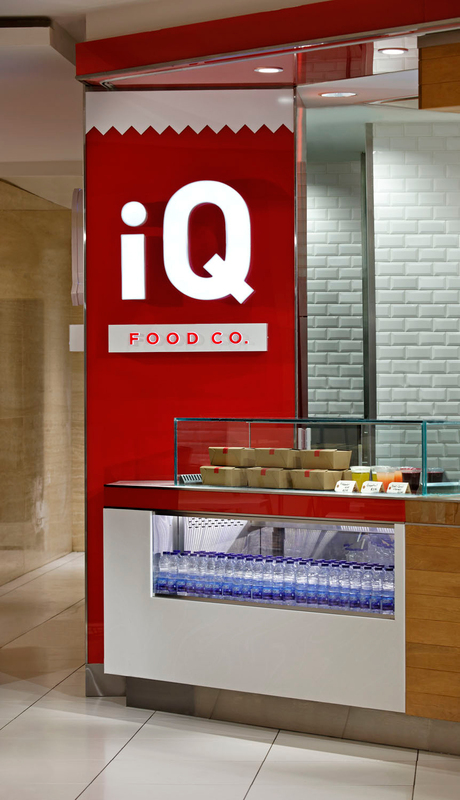 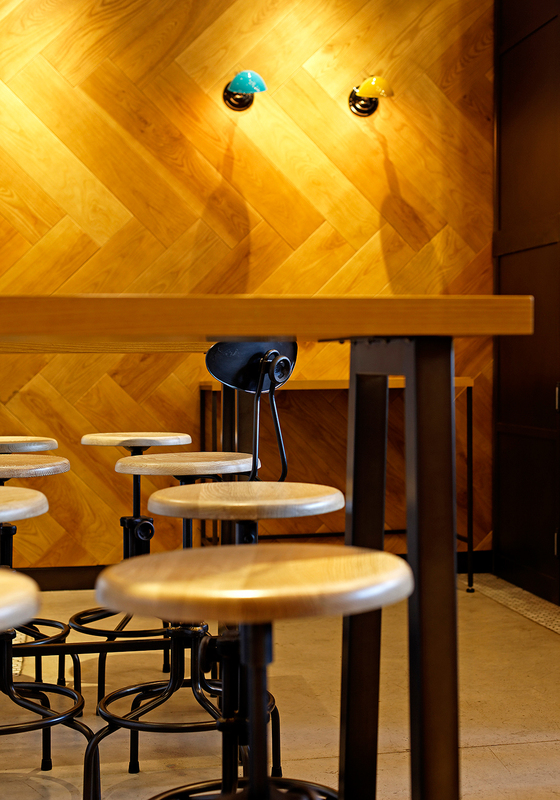 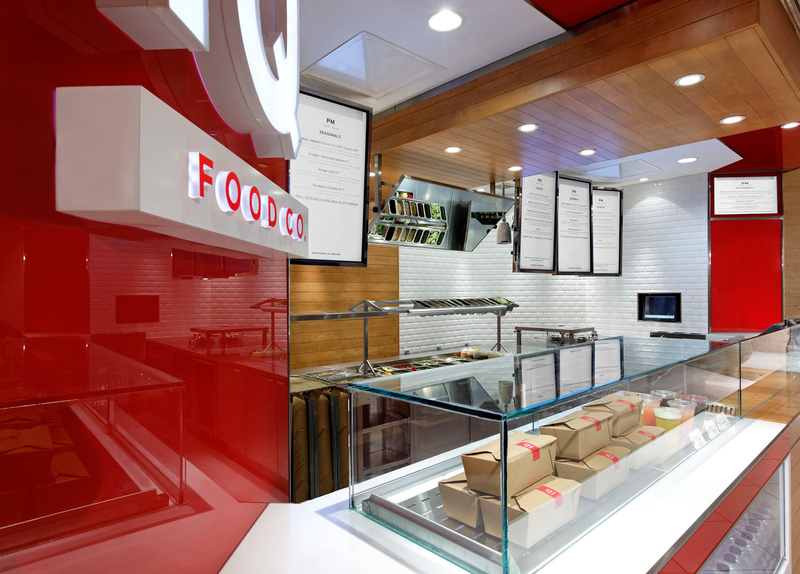 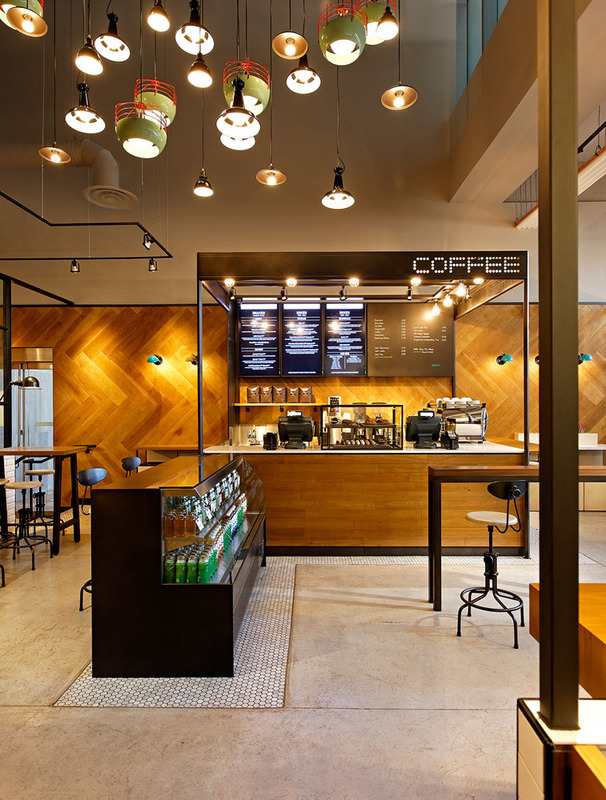 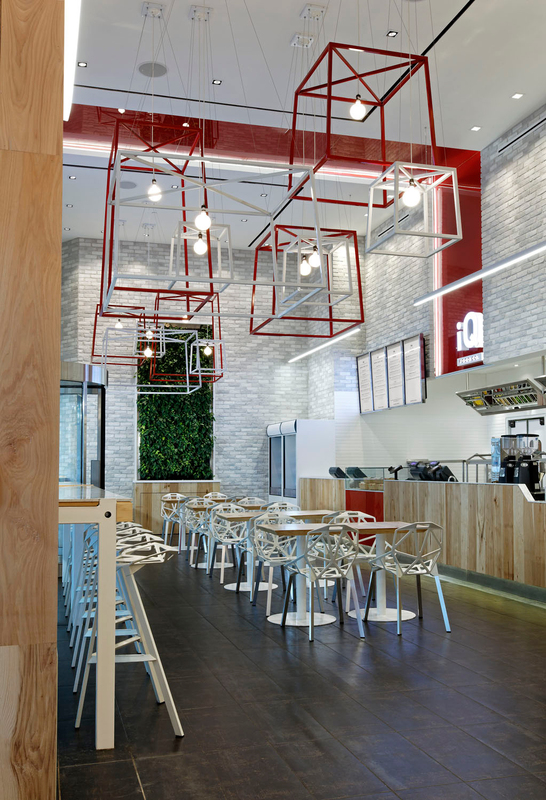 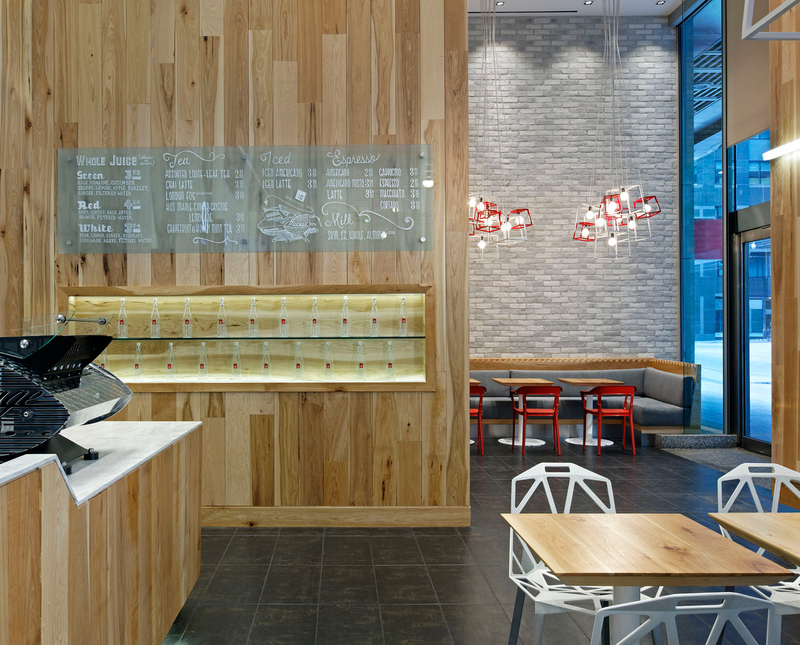 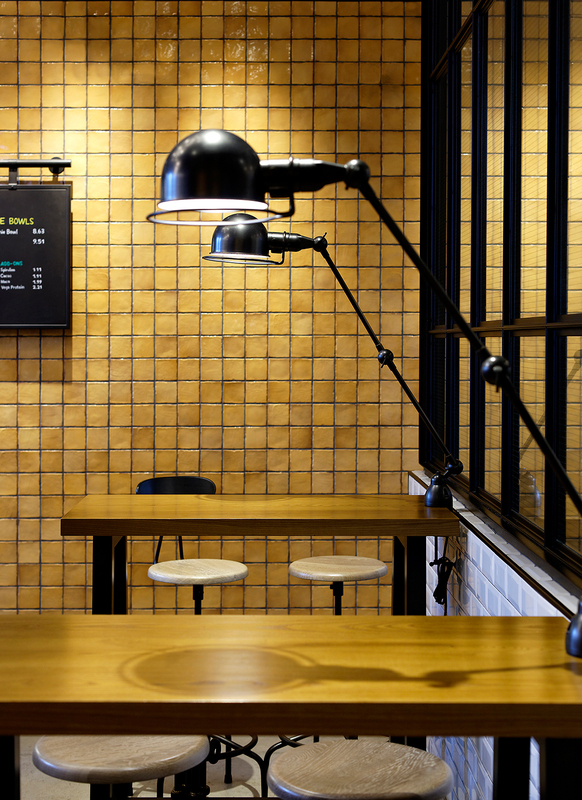 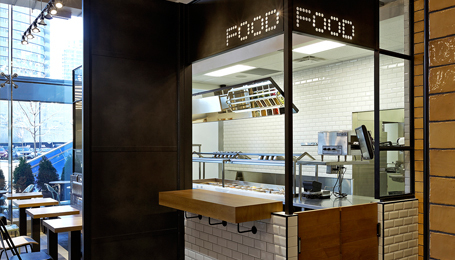 Carefully selected finishes and thoughtful detailing throughout the retail space is a clear indicator for customers that iQ Food is not your typical food vender. 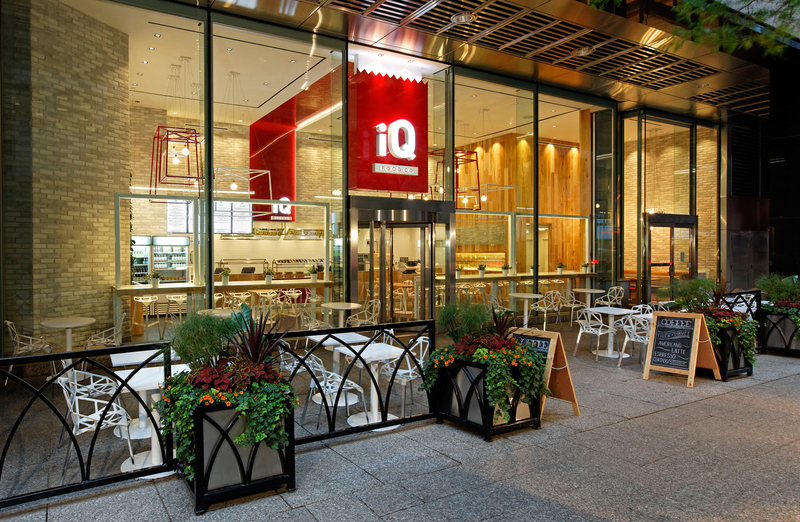 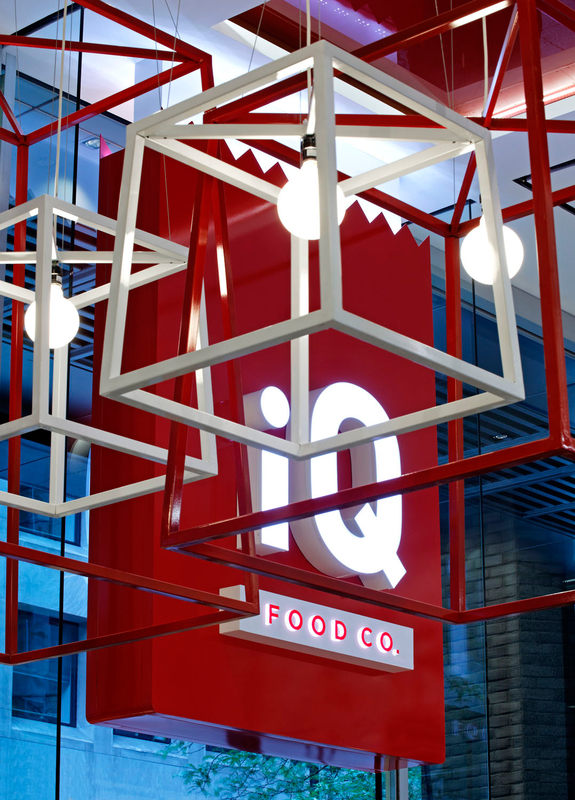 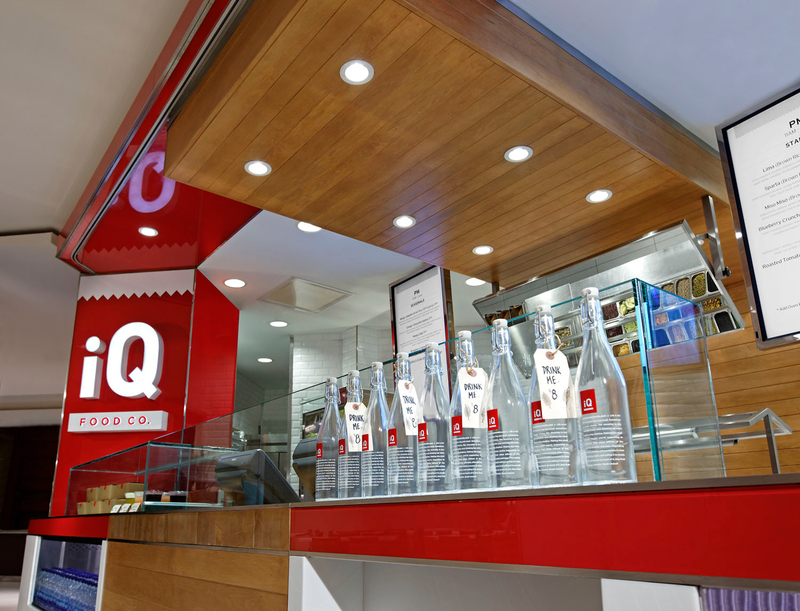 Each location is about supporting the community where it operates, the third iQ Food restaurant takes the brand`s identity to the next level. 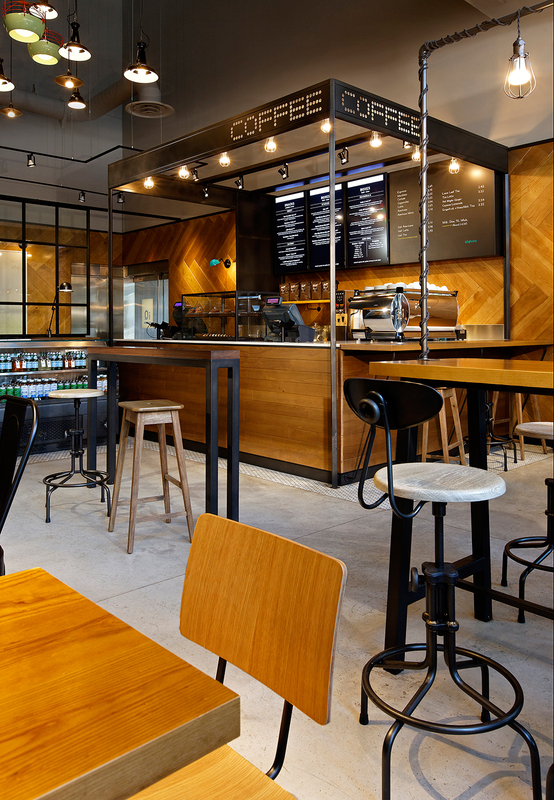 Using reclaimed woods, raw metal and natural stones this location sets out to create an environment and experience that becomes integral to the neighborhood.